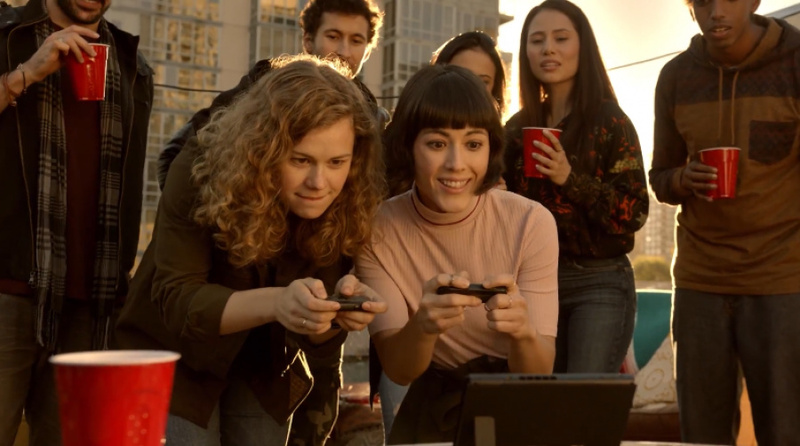 During its most recent financial briefings Nintendo outlined plans to offer members of the public a chance to try out the Nintendo Switch ahead of its launch. It's not a new idea from the big N, as it previously ran system-specific events prior to the launch of the 3DS in 2011. As chatty journalists and attendees confirmed in recent weeks there are multiple press events due to follow the upcoming 'Switch Presentation' in early January, but it seems that public events may be on the way. Don't get too excited yet, though, as so far the potential invites seem very limited. 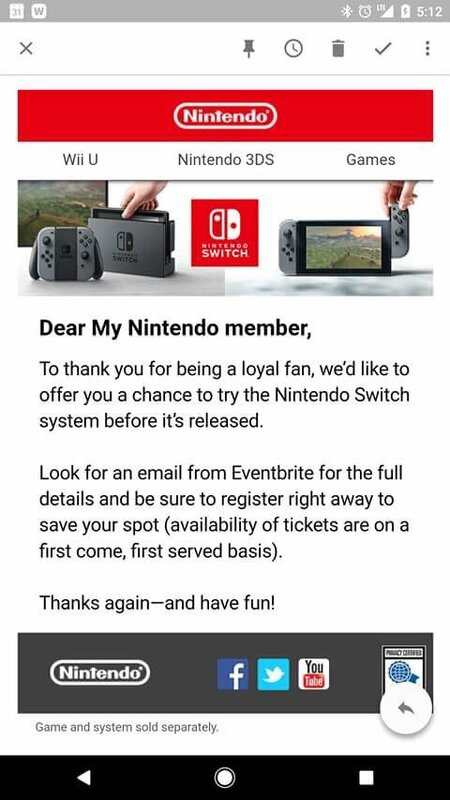 Some My Nintendo members in the US have started to receive the following email, telling them to keep an eye on their email for an upcoming hands-on opportunity with the Switch. So far we're only aware of colleagues and acquaintances in the New York area getting invites; as you can see, it's also a first-come-first-served scramble once places are up for grabs. If you're in the US and have one of these emails let us know where you're based down in the comments. I'm sure I wont get anything because I live in the part of Canada that Nintendo like to exclude every time they do anything. I think that's awesome but I might be wrong and My Nintendo is still totally worthless in every way. That would finally be a worthwhile reward to spend all my coins on. Cool. I can't wait to hear impressions on it. Cool. Too bad I live in the middle of pissin nowhere. I wonder how many invites will be sent out for the UK members. Or when they will start sending out the invites for us in the UK. I assume we will get the chance to attend one too. Apparently, San Francisco is another area, and someone on Reddit from the UK allegedly got one. Okay if super mario sunshine HD, Mario Golf or games don't announce for the wii u beside Zelda BOTW. R.I.P Wii u 2012 - 2016. Its a shame a system good games and good indies games that don't get support. Back than its all quality over quantity. Now today its all about quantity over quality. The wii u going down one of the best system of all time. Now I hope the switch carry its legacy. @therealgamer "One of the best systems of all time"? I don't think so, even if the Wii U has some good games. The best systems of all time have quality AND quantity, like the DS and Wii. Yeah, I'm not even counting on this. According to Nintendo, the US only consists of the West Coast and the East Coast. Why even have My Nintendo if Nintendo doesn't even like you? I got one. So far it's just a warning of an invitation to come. But I hope that invitation comes soon. Sounds sweet. Thankfully, I got an email, so hopefully I'll be able to get an invite. I've been invited to the one in London as a VIP! I'm am so excited beyond belief! Got the 2nd email (New Yorker). It's weird, it says "Registrations are closed- Ticket sales for this event have ended" but I can be put on a waitlist when spots are available. I hope this is standard for all and not just me being late. My chances of getting an email are slim to none, lol. The closest place the Big N has ever had anything to me is a four hour drive from my home. What cities will the tour visit and when? I remember getting to play the Wii U early with two friends when it was getting ready for release. It was an awesome experience, and I hope those of you that get to try the Switch have a great time too! Heh. This comes at the time when I think Nintendo should send demo Switch units to its fans (through My Nintendo, of course) by surprise. It'll be really cool if they did that (even if I didn't receive one), but the odds are slimmer than the new HP Spectre laptop. Also, I'm not even going to bother with this since there's a 100% chance this event isn't heading to where I live. I hope the people who are lucky enough have fun, though! SMALL EDIT: When you click REGISTER, the window that opens says ticket sales end December 31st...so either that or the actual "Ticket Sales have ended" thing on the event's page is wrong--one or the other. I've never received any of these "select" customer benefits, not even the years I dropped countless dollars in Nintendo products. My son got both the emails, the first about 7 hours ago, the 2nd about 3 hours after that. All times - 1 on Friday, 3 on Saturday - said tickets were sold out. Considering the # of people in the NY area doesn't surprise me one bit tickets would sell out almost instantly. All those people in NY walking around w/ their smart phones getting their email instantly. I bet 95% of people who got tickets get their email that way, not on a PC or Mac. Google says that the Kimpton Hotel Eventi. So if you go hang outside Fri evening and all day Saturday I almost guarantee somebody will be scalping their free tickets. My other son got the first email but not the second. Funny thing, I set up my kids My Nintendo accounts but they have never used them once. I'm on mine once a week. They are also signed up for the Pokemon emails so maybe Nintendo cross-referenced that? Speaking of My Nintneod, has Nintnod Life covered the Zelda 30th anniversary stuff? Hope all who go have a great time! Enjoy yourselves, my gamer friends! @hyperhunt621 I have my fingers crossed hoping that's the case. I responded to mines 1 1/2 hours after getting it (darn subway commute). Then again when I think about the fast turnout of people when Nintendo NYC announce an hard to find item in Stock, I shudder at the thought. @Dj-Velo Are you very active on MyNintendo, getting a lot of gold, silver, and dare I say Miitomo coins? Just curious what the prereqs are if MyNintendo users are randomly getting invites instead of solely game journalists. @technotreegrass i consider myself pretty active. i complete the weekly challenges. i'm not a journalist. i've accumulated around 1200 silver coins and 300 gold coins. @FragRed Nice thought, but doubtful. We rarely get any of the fun. I expect some kind of roadshow like they did in the Wii/DS days. Still remember that huge tent at Download Festival 2016, that was bliss. @Dj-Velo I'm also from the New York area but I never got the e-mail. Probably because I gave up on the program a while ago. Congrats on scoring some Switch time! I hope it's a marked improvement on the Wii U tablet. 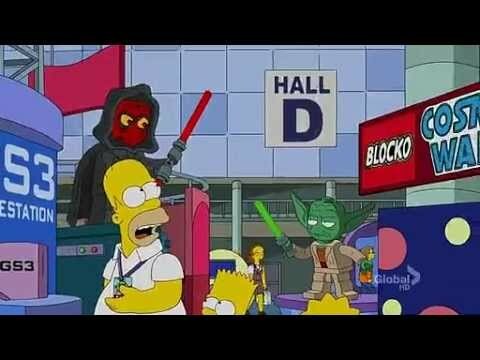 It reminds me of that one time the Simpsons had a pass to enter "E4" ("Expensive Electronic Entertainment Expo") and acted as elitist jerks about it in the episode The Food Wife (sadly, it was the beginning of the episode and that plotline fell victim to the halfway-plot-switch formula the Simpsons are famous for). I can't find a pic of that exact scene either, but here's Homer with his pass. That scene was awesome, though. Filled to the brim with surprisingly accurate gaming references and parodies. I was there for NNYC's grand reopening, and waited online from about noon to 6PM. Didn't even make it onto the actual block of the store, there were so many of us. The fact that I haven't gotten any email from that waitlist is crushing me here, so the infamous "New York Rush" may have already beaten us to it in a matter of an hour or two. Yikes. @MarinoKadame where are you from ? I'm one of the lucky ones! I'm in the boonies of western Fingerlakes and all we get is snow and cold. I live in NY so I'm hoping for an invite, if not no biggie but still would be very cool! @k8sMum Yeah, I'm pretty sure I'm the last person Nintnod wants showing up at one of their big debuts. I would have taken my kids though, they would have enjoyed it, they're only half as jaded as I am. @ThomasBW84 @SH007ME Well so it was. Pretty impressive since the Nintendo website only put it up yesterday, hence my error, I didn't think to look back that far. I do recall Flipnote, but not Zelda. Flipnote was probably the lead pic on my tablet so I just skipped it. @rjejr Just Nintendo being Nintendo. The rewards went up last week, and then they thought "hm, we should probably mention them" days later. Sigh... I don't live in America, and I don't use My Nintendo. I don't like that Nintendo almost only cares about Americans... Maybe that's the reason why they censor almost every game when it comes to the West. @ThomasBW84 Well you're in a super good mood today, that mini golf piece was fantastically punny. You fall in love, or did Apple give you a free iPhone to review SMR? Congrats, whatever it was. @rjejr Neither, but it is nearly Christmas. @ThomasBW84 "but it is nearly Christmas"
I live nearby the Nintendo Store in NY, but I haven't received an email. At this point, I'll probably won't get one at all.